Titan is back again with another awesome and affordable 180 motor, this time with Titan Cronus-X 2 motor, succeeding Titan Cronus-X which is released about around August 2017, close to a year ago. 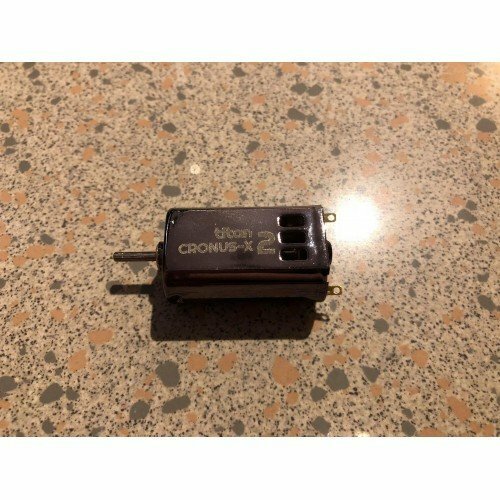 Same as it predecessor, the Cronus-X 2 is a 3S(11.1V) 180 flywheel motor. So what did Titan update to this motor? First, it received an update on the magnet used, currently sporting sintered neomagnet which is stronger than the bonded neomagnet which the Cronus-X used. 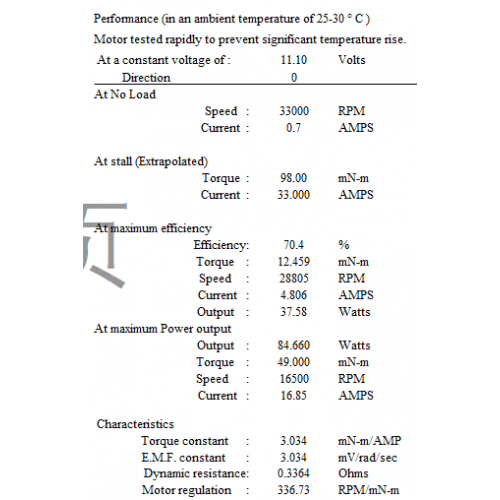 This translate to an increase in torque numbers, now hitting 1000+ gf.cm on 11.1V. 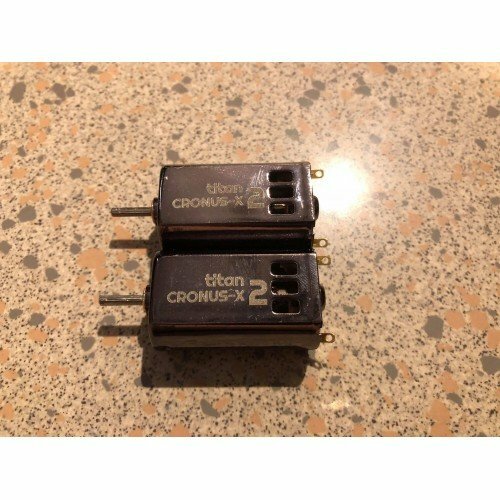 This put Titan Cronus-X 2 on par their competitor within the market! Second, back in Cronus 2(2S 180) release, Titan introduced splined shaft to help improve grip on flywheel. This reduces flywheel slip problem hence allow you to transfer a higher torque to your flywheel which is an awesome feature to have. Last but not least, it also now included a double ball bearing to reduce friction, prolonging the lifespan of the motor which also featured in Cronus-2 motor as well. It also help reduce noise from the motor, hence making it slightly quieter. All of these feats, Titan still manage to control their costing, allowing them to price this new beast motor at an affordable $8 per unit. 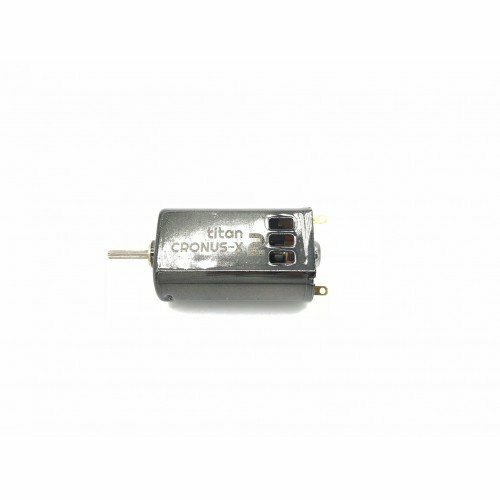 If you are looking for the top of the line 3S 180 flywheel motor, look no further, the Titan Cronus-X 2 will satisfy all your need. Ball Bearing: Yes. 2 ball bearing installed. 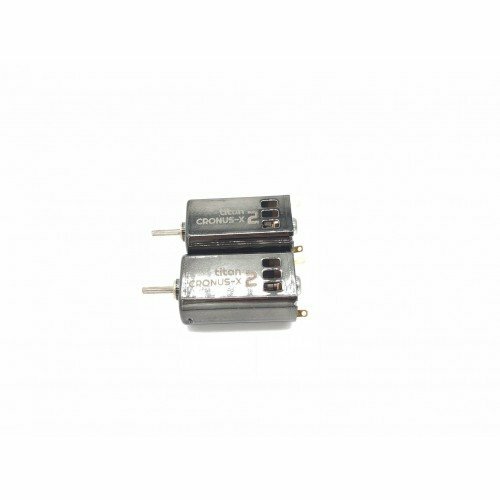 Motor Casing: 180 size, electroplated in black.